When going over all the options for your next all inclusive family vacations consider staying at an on site Disney owned resort. Walt Disney World resorts are divided into three different categories, value, moderate and deluxe. The table below lists the name of each resort by category. Value: Pop Century Resort, All Star Music Resort, All Star Movies Resort and All Star Sports Resort. Moderate: Caribbean Beach Resort, Coronado Springs Resort, Port Orleans Resort – French Quarter, and Port Orleans Resort – Riverside. Deluxe: Animal Kingdom Lodge, Beach Club Resort, Boardwalk Inn, Contemporary Resort, Grand Floridian Resort & Spa, Polynesian Resort, Wilderness Lodge, and Yacht Club Resort. Disney World resort life is so much fun! If all you do is sleep at the resort, get up and eat breakfast, and then head to the theme parks you are missing out on so much of the exciting resort side of Disney. All of the resorts feature activities, beautiful swimming pools, special events, and themed scenery. Take part of your vacation to enjoy the resort you are staying at or hop aboard the free Disney transportation and visit a nearby resort to see what they offer. Free parking at all of the Walt Disney World theme parks for the entire length of your stay. Quick access to all of the theme parks by Disney transportation. Such as, monorail, motor coach, or water taxi. Breakfast with all of the Disney characters (by reservation only). All of your park purchases can be delivered to your hotel room so you don’t have to lug them around the park all day. Disney cast members at the resorts are very knowledgeable about Walt Disney World and are available to answer any questions that you may have. Free transportation from the Orlando International Airport via Disney’s Magical Express service. You are guaranteed admission to the theme parks! Sometimes during the peak season the theme parks will fill up fast. While regular admission guests are turned away, Disney resort guests will always be allowed entrance into the parks. Each day there will be one theme park with extra magic hours, either in the morning or at night. These are special hours that only resort guests can take advantage of. Remember to always ask what discounts are available. 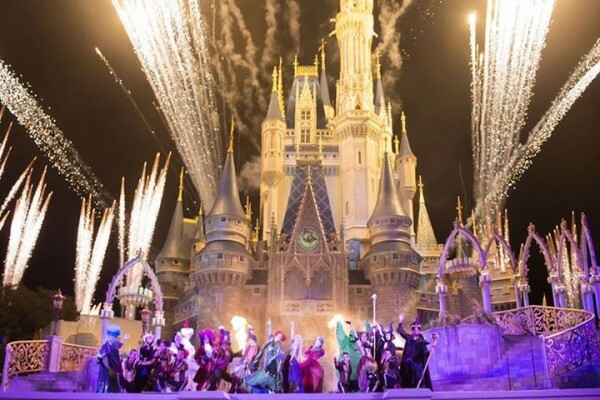 Being apart of any of the following groups may land you a great discount on your Walt Disney World Resort stay, Disney Visa Card holder, American Express Card holder, AAA Card, AARP Card, Annual Pass holder, Military, Government, Teacher, or Nurse.